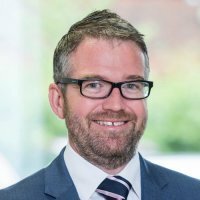 Mike commenced working in insolvency during 1999 as a 'trainee' with Harrisons Insolvency Specialists based in York, having previously studied Business and Accountancy at a business college situated in the city. He joined David Horner & Co during 2001, where he gained experience working on a variety of insolvency assignments, both personal and corporate, including bankruptcies, IVAs, liquidations, administrations and CVAs, working from offices based in York and Doncaster. During December 2007, Mike joined Begbies Traynor as an Insolvency Manager following the acquisition of David Horner & Co, where he has continued to work on a wide spectrum of insolvency cases based throughout Yorkshire and the North East. Mike passed his JIEB in 2014.